Work on 'Season 2' is "well underway". If you're a fan of Overwatch's animated shorts—brief, story-based trailers that fill in details of the combatants' backstories—then you'll be pleased to hear that more are on the way. 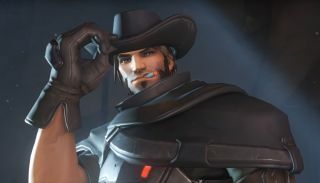 Director Jeff Kaplan revealed as much in a press event attended by Polygon, stating that a second 'season' of shorts was on the cards, and that production was "well underway". "The animated shorts are probably the thing that we have the most fun making,” Kaplan explained at the event. "We really love working with our animation group and digging out the stories not tied to any constraints of gameplay—we can tell any stories we want". The last couple of animated shorts focused on nature-loving robot killer Bastion, and the long-teased Sombra, who was finally revealed back in November of last year. There's no timeframe yet for the next short, but Kaplan did tell Polygon that they "take a long time" to make, so don't start holding your breath just yet.